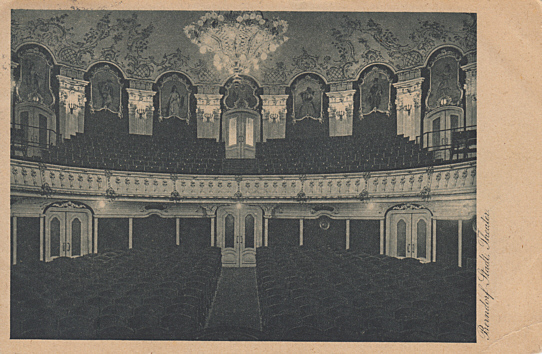 Built 1897-1898 as "Kaiser-Franz-Josef-Theater" by Ferdinand Fellner & Hermann Helmer, funded by the local industrialist, Arthur Krupp. Named in honour of the Austrian emperor, Franz Josef I. Also known as "Arbeitertheater" [workers' theatre]. 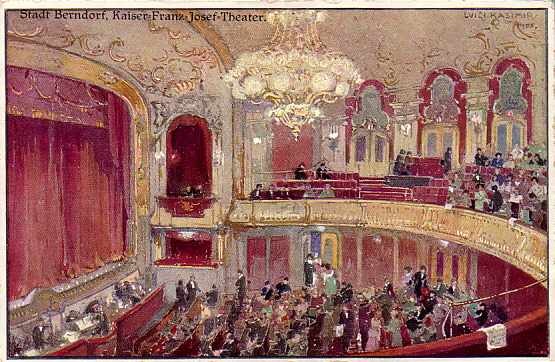 Opened 27 Sep 1899 in the emperor's presence with C. Karlweis's comedy "Der kleine Mann". Interior severely damaged by a fire in 1902, subsequently restored. Severely damaged by bombs in 1944. 1960-1964 provisional restorations. 1986-1992 major restoration by R. Krapfenbauer and H. Scheifinger. 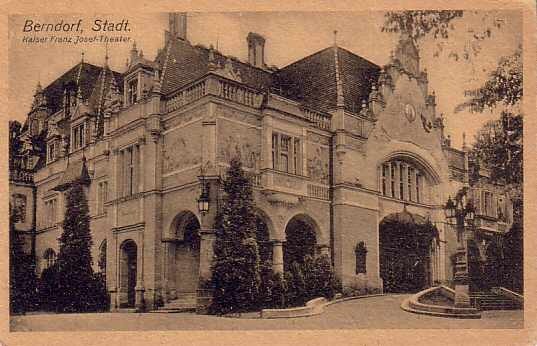 Currently known as "Stadttheater". 488 seats. 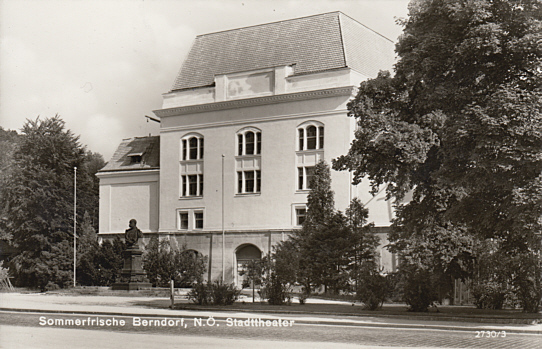 Front Text: "Berndorf. 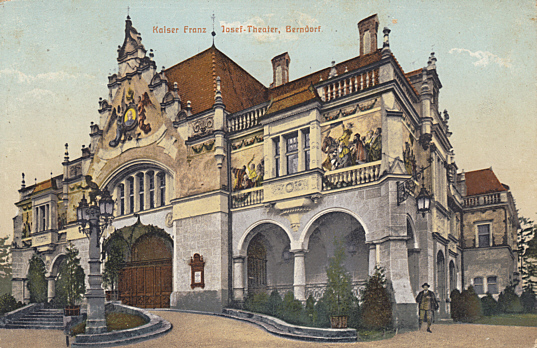 Kaiser Franz Josef Theater"
Front Text: "Berndorf, Stadt - Kaiser-Franz-Josef-Theater"
Front Text: "Stadt Berndorf, Kaiser-Franz-Josef-Theater"
Front Text: "Sommerfrische Berndorf, N. Ö. Stadttheater"